In ‘Alert configuration’, the ‘Main’ tab groups the different triggers of the Alert rule. This tab is different regarding the type of the alert you want to define: additional criteria will be available when defining a 'Mass access' alert. First, you have to enter a name for the alert. This name will appear later in the ‘Alert’ hub tile. The ‘Enabled’ switch permits to enable/disable this alert. Access Status: specify if the alert will be for successful or unsuccessful access attempts, or both. Object type: specify if the alert will trigger for access on files and/or folders. Take note that the event is generated for an attempted access. If a user attempts to delete a file on a monitored folder, you will be alerted of a ‘Delete’ event with a status ‘Denied’. This type of alert allows to notify mass access events performed by a same user and thus to alert on bulk file copying (significant number of read accesses performed during a short period of time) and bulk file deletion or movement. 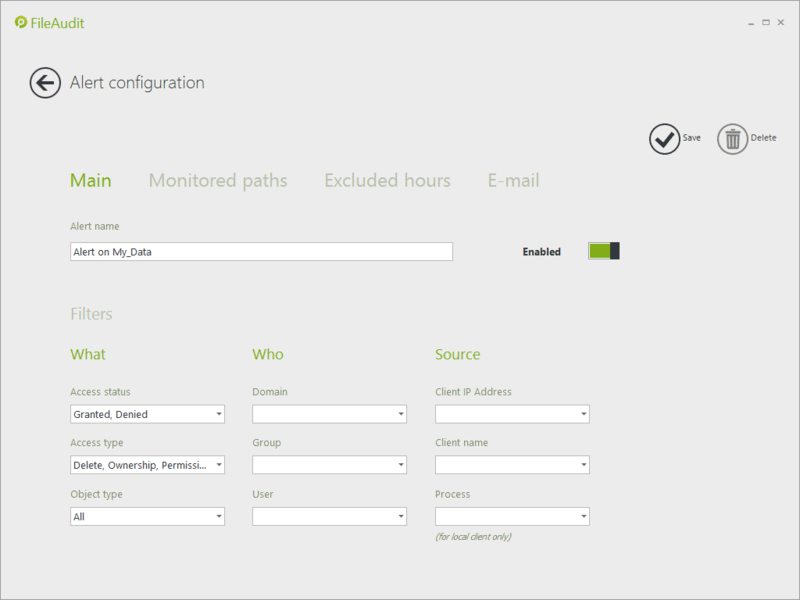 This alert type proposes the same criteria as those available when defining a 'Single access' alert and described previously. However it adds a frequency criterion with which a same user performed a same type of access. Threshold: Number of accesses fulfilling the criteria defined in this tab beyond which the alert will be triggered if achieved over the defined time period. Time period: Rolling time period during which the number of accesses corresponding to the criteria defined in this tab is counted. 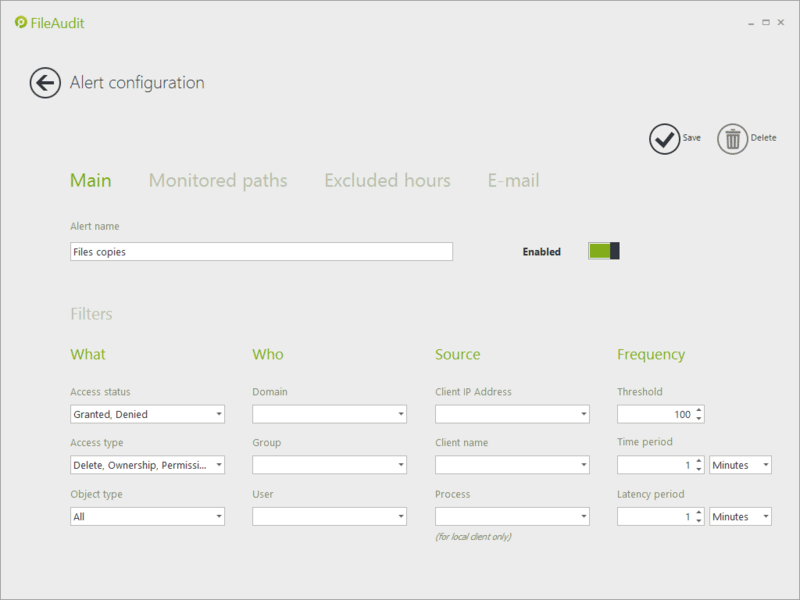 Latency period: Time period during which the alert will be temporary disabled once triggered. 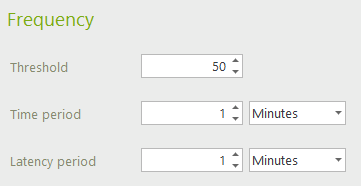 Enter '0' as value to disable the latency period. Take note that disabling the latency period means that the alert will be triggered for each event exceeding the set threshold.